BIT or Business Identity Theft, like personal identity theft is on the rise in worldwide and that includes Ohio! There are criminals fraudulently using SMB names to establish lines of credit with other businesses, governments and financial institutions. Victims of BIT can face real financial damage ranging from a twenty dollar nuisance to total financial collapse. In Ohio, thanks to Jon Husted, the Ohio Secretary of State, businesses can protect themselves from BIT by subscribing to E-mail alerts directly from the Secretary of State. The service emails the business whenever any filing change or update is made to their state registered account. There is no cost for the service and you can register at: OHBusinessCentral.com. In order to subscribe for the Business Filing Notification System or unsubscribe for existing notifications(s), business or individuals will need an e-mail address and business charter, registration or license number for each filing, which can be found through an online business search. 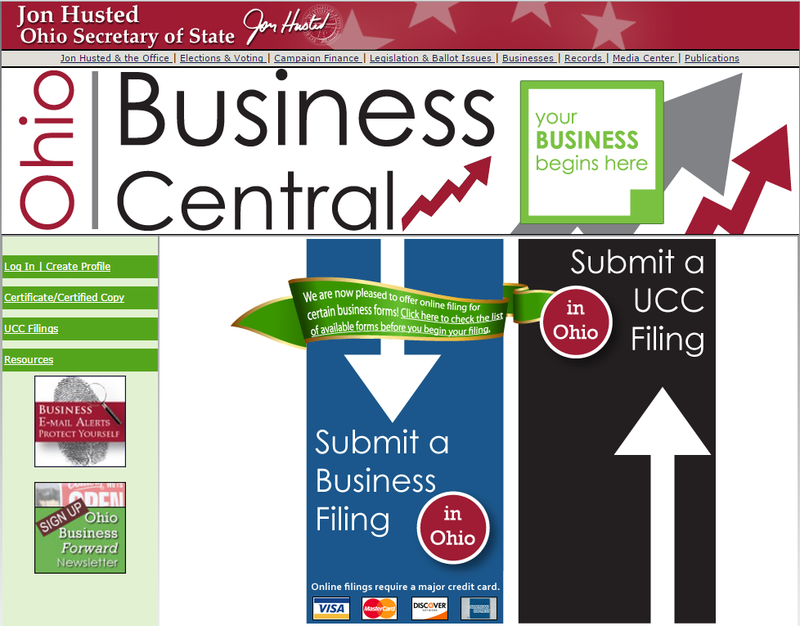 Click here to search the Ohio Secretary of State’s Business Entity Database.